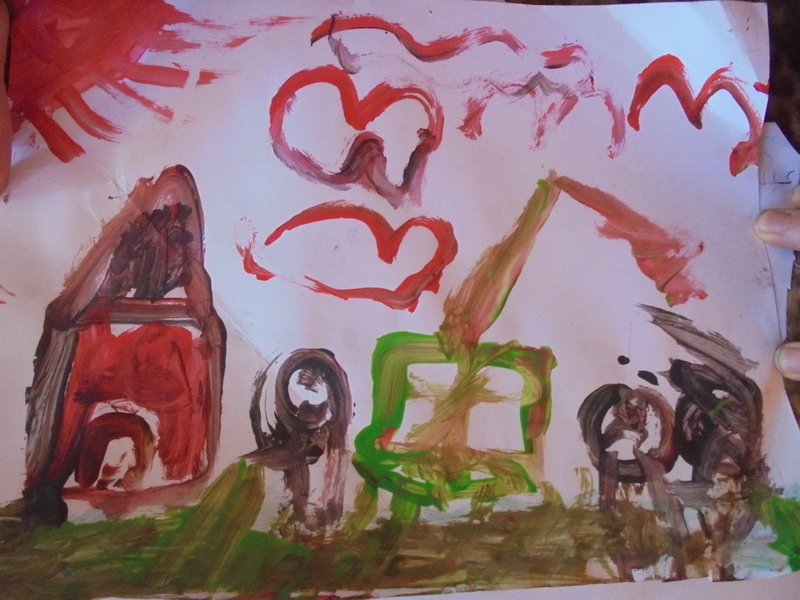 Demolition of a home in East Jerusalem, as depicted by a child of the Amro family. The children continue to suffer from anxiety, trauma, and bed-wetting following the partial demolition of their home in 2015. Sodastream, Hewlett Packard, and Barclays Bank have been among a number of key targets of Palestine solidarity activists in the last few years, not to mention G4S, Elbit Systems and EDO MBM. High street supermarkets Sainsbury’s and Waitrose and now even the Co-op Bank are also facing criticism for their business practises, regarded as undermining Palestinian human rights and being complicit in illegal Israeli occupation. Such solidarity campaigns help Palestinian children in particular, as it is a cruel but true reality that they suffer disproportionately from the occupation. Over 550 children were killed in the 2014 bombing of Gaza alone, with child mortality sharply on the rise with the continuing siege. 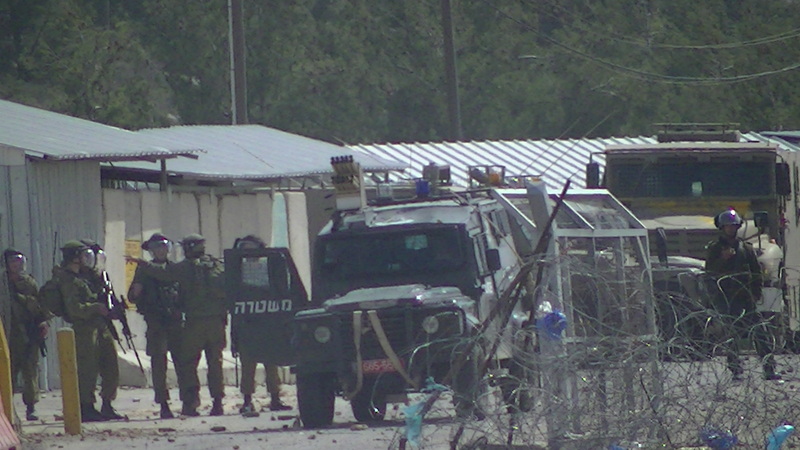 Settler violence towards children in the West Bank is also worsening: in 2015 arson attacks and tear gas inhalation resulted in very young babies dying,whilst simply attempting to get to school in Hebron has become a nightmare. The age of criminal responsibility for Palestinian children is also becoming ever lower, with hundreds subject to the violence and humiliation of Israeli detention each year. 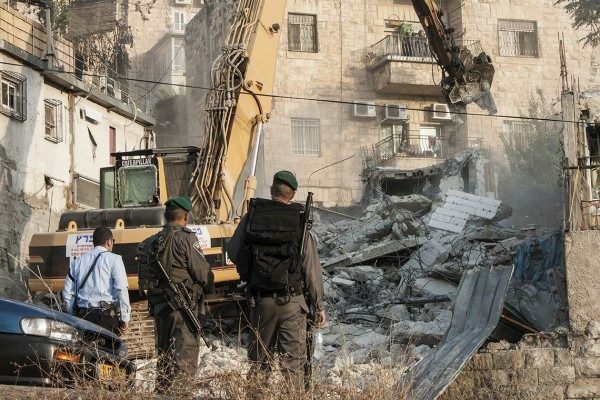 House demolitions and the ever present threat of them – from East Jerusalem to the Jordan Valley – continue to terrify, traumatise, destroy and degrade. The drawings by children of the Amro family in East Jerusalem, featured above, are evidently testament to such systematic child abuse – shocking yet common under occupation. Washington Post published an account by their father, Nureddin Amro. UK consumers can help to end the systematic denial of childhood to Palestinian children by supporting the call for boycott, divestment and sanctions against Israel, otherwise known as the BDS movement. Yet what about BDS supporters shopping for children in particular? Ethical Consumer has produced an extremely useful guide on how to shop ethically when buying products for babies and children. However, few guides have focused specifically on Palestine. Here are the main companies to avoid for those who want to support Palestine. Environmental considerations and animal rights aside, what nappy you buy can also have human rights implications. Pampers is a US brand which sells a range of nappies, training pants and wipes for babies and toddlers. The business is owned by Proctor and Gamble, one of the largest clients of Israeli company Avgol Nonwoven Industries (P & G accounts for approximately 40% of their sales). Avgol Nonwoven Industries has a production factory located in Barkan, an industrial zone in an illegal West Bank settlement in the occupied territories. By purchasing from the company you are supporting the illegal settlement economy which further strengthens the occupation, undermining Palestinian rights. More information can be obtained from the Israeli research group Who Profits?. Taf Toys is an arm of Israeli company Taf Plastic Products Ltd and sells a range of baby and toddler products including soft toys, play mats, walkers and baby gyms. Parent company Taf Plastic Products Ltd is located in the city of Netanya in Northern Israel. Products in the UK are available from a number of retailers including John Lewis, Argos and tax avoiding Amazon UK. Supporters of the BDS movement should take heed. Israeli company Halilit has become a near-ubiquitous seller of musical instruments and educational toys for babies and toddlers in a large number of countries. Products are available in the UK from a number of retailers including JoJo Maman Bebe , Debenhams and Argos. 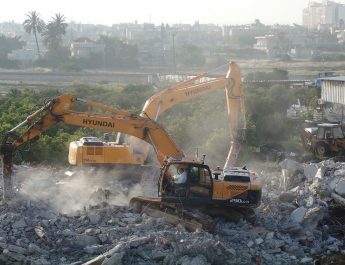 The company is based in the Tel Aviv district of Or-Yehuda, which has a particularly bloody history – the neighbourhood was built on the Palestinian village of Saqiya which was forcibly cleared of Palestinians in the Palestinian nakba (catastrophe) of 1948. Halilit is also the UK distributor for Taf Toys, listed above. Campaigners have highlighted this company as clearly ripe for boycott . To take action beyond simply boycotting the individual companies, we recommend contacting the retailers who sell their products and asking them to stop. 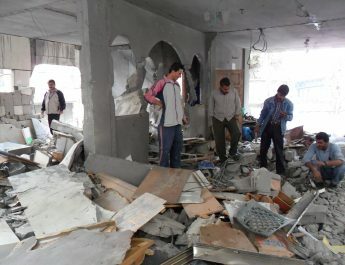 You can also join your local Palestine solidarity group to take direct action collectively.